If anyone has worked with System Center Service Manager, and in particular the Reporting, there may be a little more desired; for example Dashboards. 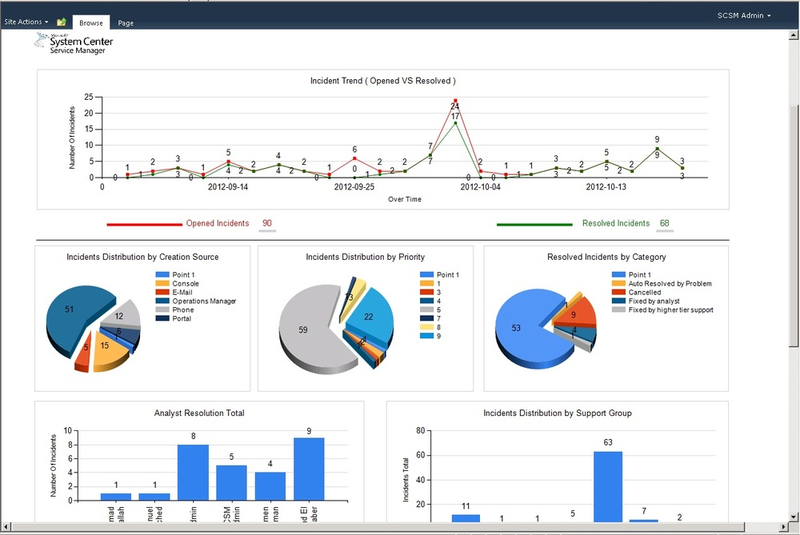 Aside from these references, a company (Signature Consultancy) has created and released (for free) some dashboards for Service Manager. 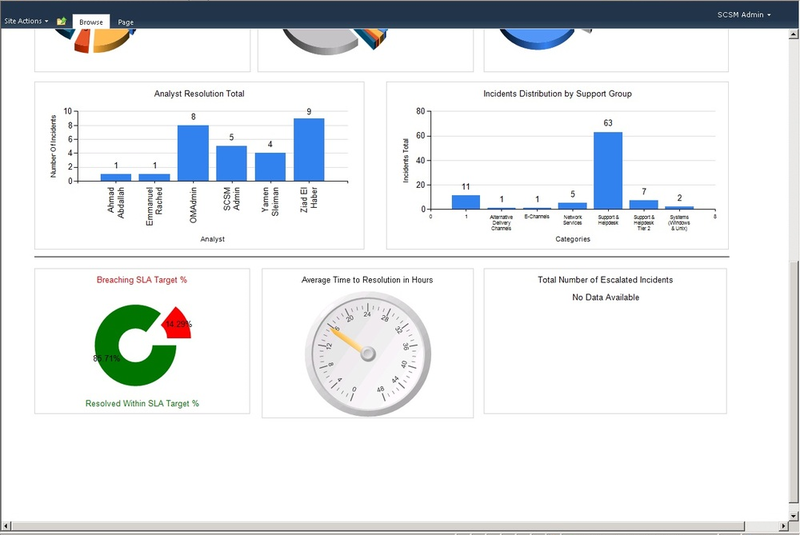 These dashboards cover 4 areas (Activity Management, Change Management, Incident Management, Problem Management). 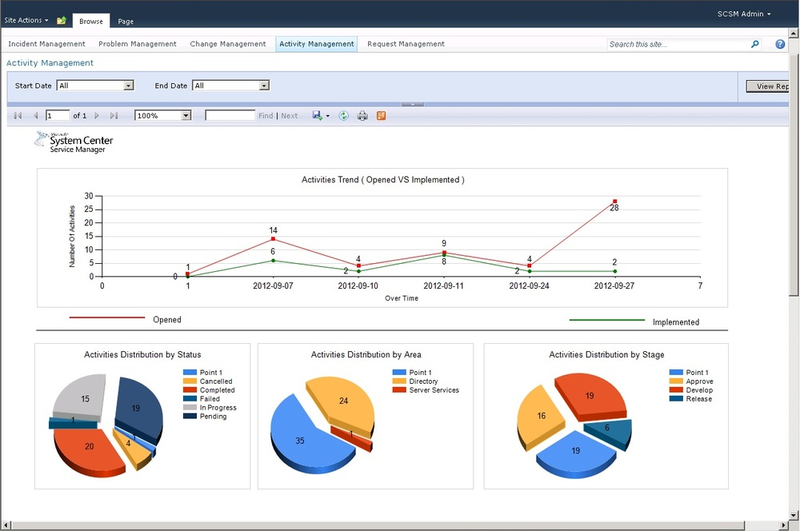 The SCSM 2012 Dashboard from Signature Consultancy provides persistent visibility to hot spots and highlights in your Service Desk Processes and performance with numerous charts, metrics and analytics. 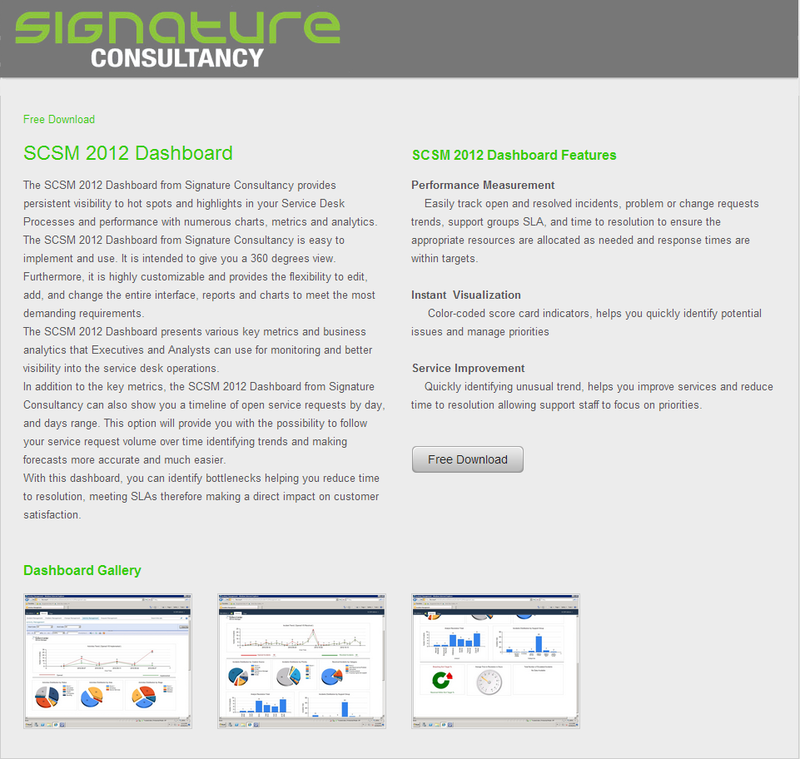 The SCSM 2012 Dashboard from Signature Consultancy is easy to implement and use. It is intended to give you a 360 degrees view. Furthermore, it is highly customizable and provides the flexibility to edit, add, and change the entire interface, reports and charts to meet the most demanding requirements. The SCSM 2012 Dashboard presents various key metrics and business analytics that Executives and Analysts can use for monitoring and better visibility into the service desk operations. In addition to the key metrics, the SCSM 2012 Dashboard from Signature Consultancy can also show you a timeline of open service requests by day, and days range. This option will provide you with the possibility to follow your service request volume over time identifying trends and making forecasts more accurate and much easier. With this dashboard, you can identify bottlenecks helping you reduce time to resolution, meeting SLAs therefore making a direct impact on customer satisfaction. Here are some screenshots of the dashboards provided by the designer. If you are interested in trying these dashboards your self, start by navigating to the Signature Consultancy website, under Products > SCSM Dashboard, and click Free Download. 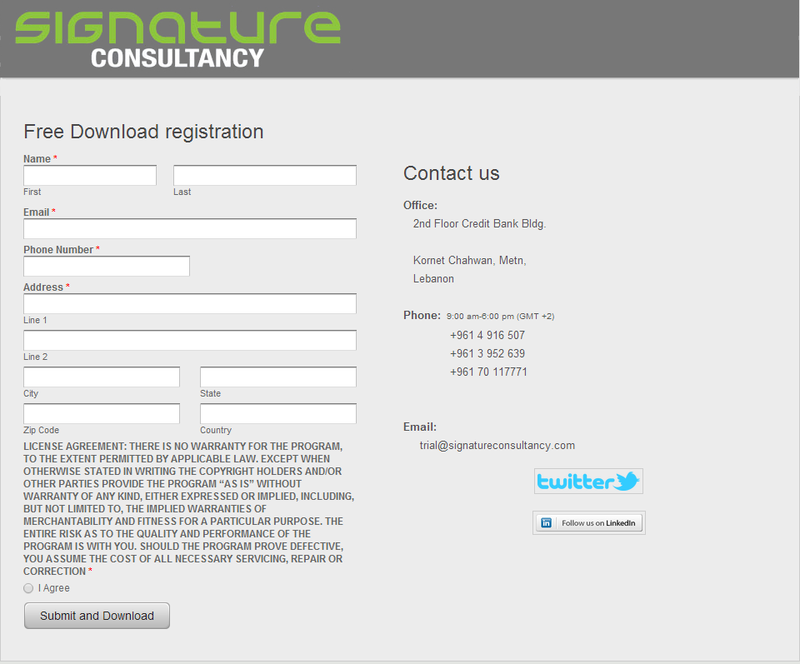 After you have entered your registration information, click Submit and Download. You will then presented with the files to download. Note at the time of this writing, the dashboard version is 1.2. 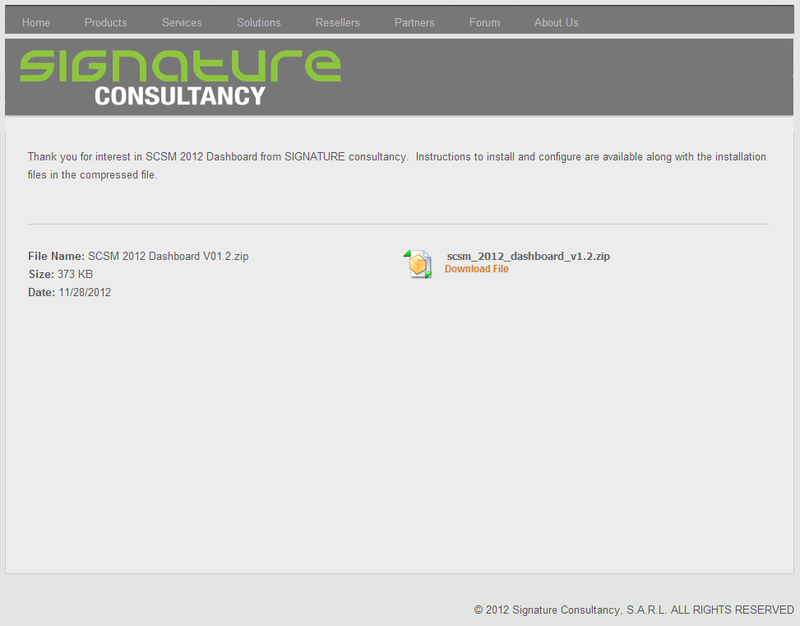 When you download the .ZIP file, it will contain a Deployment and Configuration Guide. This guide contains some screenshots, but not many. I will utilize the steps provided in that guide, and include my own screenshots step-by-step. Let’s begin with Requirements and Installation. As always, if this post helped you in any way, and you would like to show your appreciation, please rate it and comment on it. Also, feel free to contact me with requests for future articles.